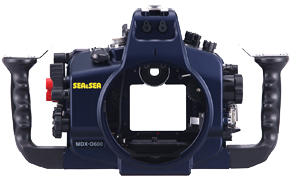 MDX housing for FX format DSLR camera, Nikon D600 / D610. Set Items [Accessories] Housing body cap, camera quick shoe, light-shielding plate and two hex wrenches. 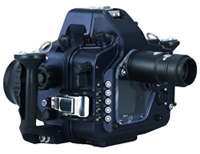 *2 External monitor housing such as Wahoo Monitor HD for SONY CLM-V55 can be used. Contact an official SEA&SEA dealer near you. 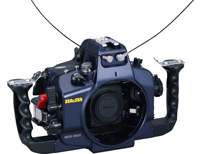 By inserting the Fiber-Optic Cable into the housing connector, an external strobe will be optically connected to the camera's built-in flash enabling full-featured strobe photography and creative lighting expression. 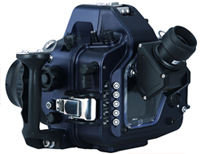 Controls most essential functions of the Nikon D600/D610 camera underwater. (Bracketing button, Preview button and Function button are not operable from the housing).